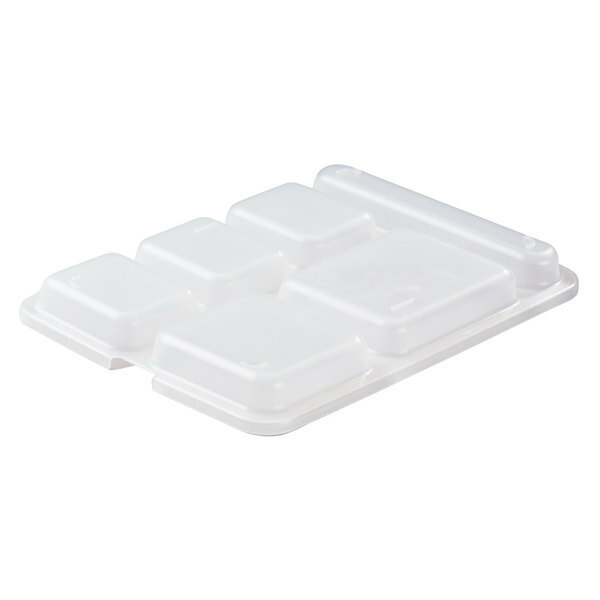 This translucent Cambro 10146DCPC190 co-polymer serving tray lid is made of an economical, co-polymer material, ideal for use in your correctional facility, hospital, or assisted living center. Its functional design separates each compartment to retain food temperature and reduce spills. Now you can serve both hot and cold foods on one tray! Its transparent design enhances the visibility of your tray's contents. 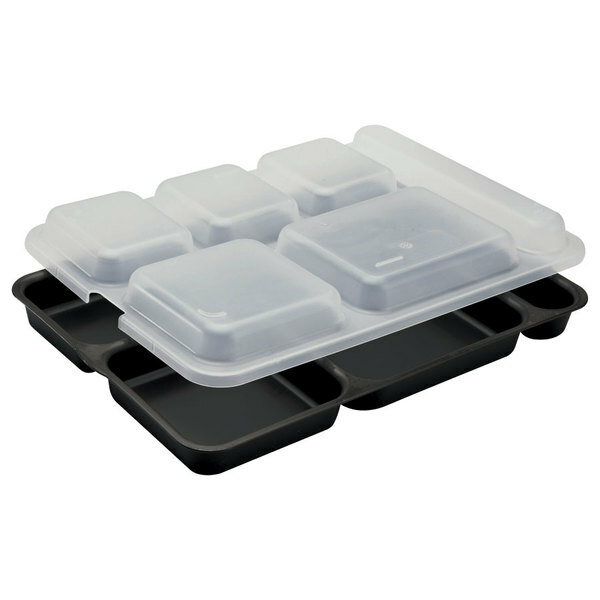 For added convenience, when used in conjunction with Cambro 10146DCP190 6 compartment serving tray, the locking ridges on the top of this cover will ensure more secure stacking. We use the trays and lids on a daily basis and they have held up vey nicely. They do stain easily but that is the only downfall that they have.